Homemade dressings are awesome, because their flavors are so fresh and rich. It really does make a huge difference in flavor. 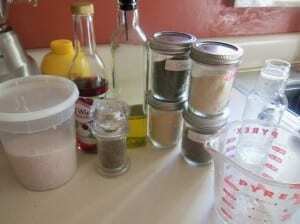 Italian and Ranch Dressing Recipes are easy to make as mixes to keep until you are ready to use them. I mix all the dry ingredients in zip close bags and keep them until I ‘m ready to make the dressing or dip. Then, all I need to do is add the vinegar and oil, or mayonnaise and yogurt. Mix all ingredients in a jar, close, shake. Instead of mixing in the oil and vinegar, keep the dry ingredients in a jar or zip close bag until you are ready to make the dressing. When Ready, add ingredients to a jar, close and shake. Mix 2 Tbsp dry mix with 1/4 cup red wine or balsamic vinegar and 1/2 cup olive oil. Add dry ingredients into a jar, close, and shake to mix. Add mayonnaise and buttermilk (or yogurt) to jar. Close and shake to mix. Store in the refrigerator. Makes about 2-1/2 cups. Mix all ingredients in a jar or zip close bag. Close and shake. Store until ready to use. Follow Directions below for dressing or dip. 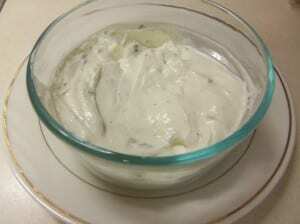 Dressing: Mix 2 Tbs dry mix with 1 cup mayo and 1 cup buttermilk (or yogurt). Dip: Mix 2 Tbs dry mix with 2 cups sour cream. Wow, gotta make this for a party!!! Thanks dear. I agree. They are pretty simple and you usually do have all the ingredients. I love making little jars of the mix, then when I need it I just add the last ingredients and shake. Done. What’s in Tzaziki? Thanks so much. Will do. I find so many awesome sites through those links.